Growing up in Vancouver, the sight and smell of mandarin oranges has always signalled the beginning of the holiday season to me. 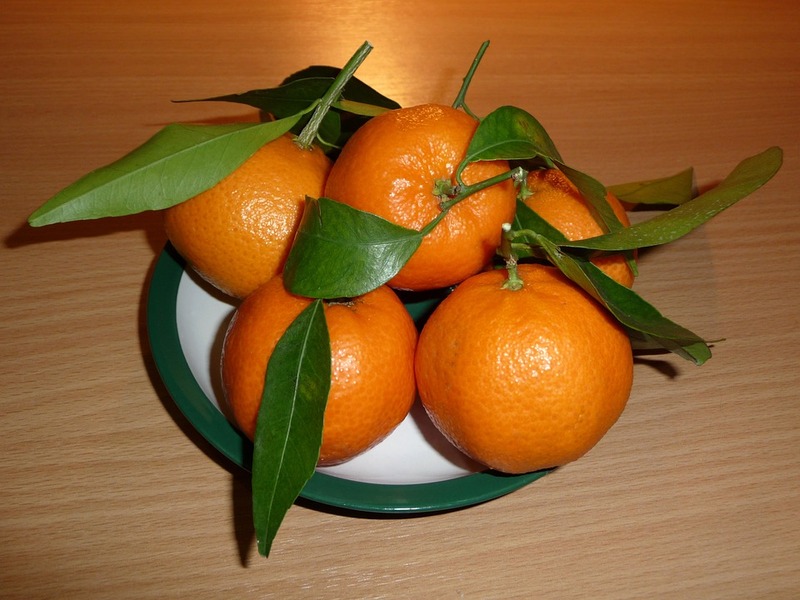 In the 1960’s the arrival of the small, sweet seedless oranges from Japan was a seasonal rite. 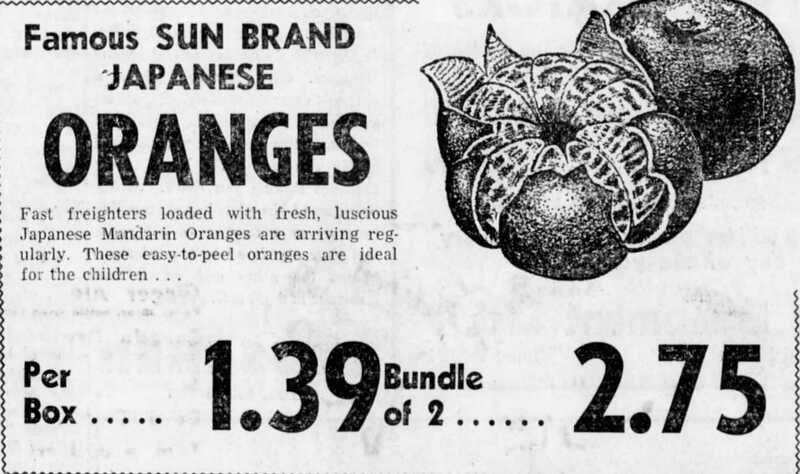 As I recall, the first freighter of festive fruit from Japan, “Satsuma” oranges would be unloaded at the Port of Vancouver in the beginning of December. This was a big event – the fruit shipment was greeted by Santa accompanied by traditionally garbed Japanese dancers as they welcomed the seasonal oranges. Local news cameras would capture the whole event on film and report on the fruits’ arrival on the six o’clock news. 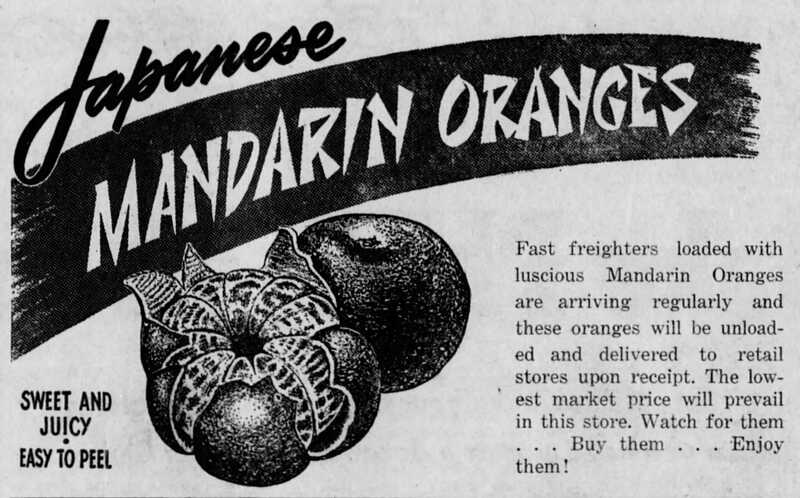 Mandarin oranges were first imported in 1884 by the Oppenheimer Brothers, a Vancouver-based wholesale produce business, when the brothers formed an alliance with the Japan Fruit Growers Cooperative. The small wooden crates filled with green, tissue paper wrapped mandarins were originally sent to relatives in Canada who worked for the Canadian Pacific Railway. The design of the crates required the top slats pried off with a hammer before they could be unwrapped and eaten – but anticipation was part of the magic. And as kids we would attempt to peel the small fruits in one continuous piece – I must admit this is something I still do when no one is watching. Once empty the wooden crates could be re-used for a variety of purposes – toy or shoe storage, doll furniture or even stacked could stand in for a side table. Eventually these cool crates were replaced by lighter weight cardboard boxes that are still in use today. Here is a recent CBC article about the sweet citrus (and not just seasonal) treat.